Experts in Custom Industrial Automation - ACRO Automation Systems Inc.
We can build a custom process around any automation problem. ACRO’s services have four core tenets: a solid design, build & test process; flexible quality assurance; strong customer service; and a retool & rebuild program. 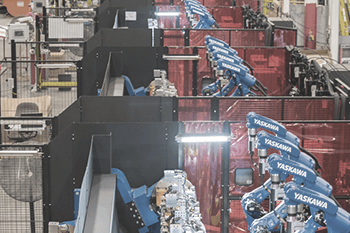 Find out how our knowledgeable team can build a custom process around any automation problem. ACRO Automation Systems Inc. has serviced our customers for over 80 years. 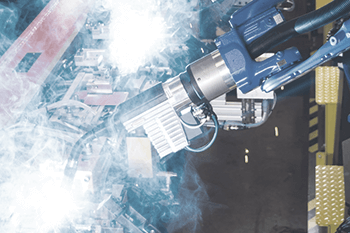 Our expert services include automated welding, automated assembly, system integration and robotics. 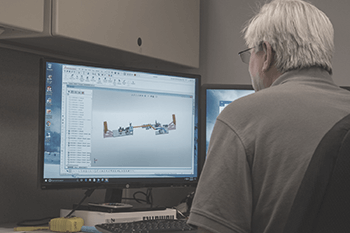 Our team of engineers has provided solutions for a broad range of industries, such as automotive, appliance, consumer goods and more. ACRO takes pride in every job we perform. Our commitment to our clients and their projects is encompassed in our UPTIME slogan: “Up Time, On Time, All the Time.” Read about our successes in any of our case studies to learn more. Manufacturing Marvels® is a nationally renowned Fox News program. The show is produced by an award-winning team, which includes producers Bob and Jerry May, as well as director Bryan McCullough. Recently, Manufacturing Marvels® shot a mini documentary on location at ACRO Automation Systems. This two-minute pod which aired on Fox Business Network, highlighted the manufacturing depth and level of excellence embodied in all of the products and services ACRO offers its customers.